For all the music lovers, Vevo is one stop destination to enjoy all your favourite music videos. Vevo is a video hosting service that works as a joint venture among Universal Music Group (UMG), Sony Music Entertainment (SME) and Abu Dhabi Media. Music videos from Universal Music Group and Sony Music Entertainment are hosted by Vevo on YouTube and its website. Vevo has a great collection of more than 150,000 music videos by artists in different categories. Though Vevo videos can be enjoyed on an array of devices, enjoying them on high resolution, Apple TV is surely an amazing experience. So if you are clueless on how to go enjoying Vevo on Apple TV, below listed are the best solutions. The users can sign-in and enjoy playlist as well as Favorite sync between desktop, mobile and tvOS apps of Vevo. For example, if an artist is added to the playlist on iPhone, it will automatically sync with Apple TV app and can be seen. The Spotlight feature of Vevo Apple TV app helps to automatically create a video playlist that is based on the favorite artists selected by you. The Vevo Apple TV app is capable of streaming up to 1080p resolution with 128 kbps/44.1 kHz AAC audio so as to offer great viewing experience. Siri Remote capabilities can be used to navigate video playlist. 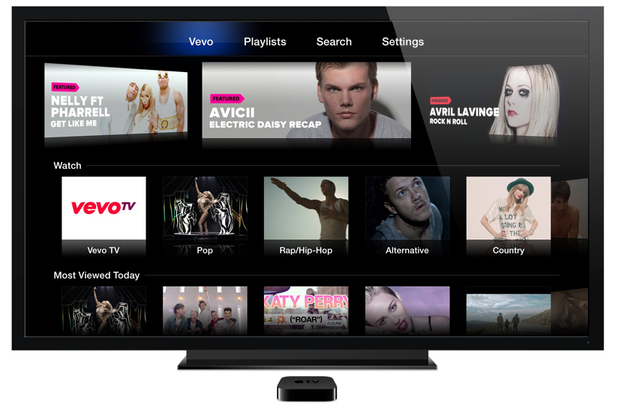 The catalog of Vevo music can be browsed by genre on Vevo Apple TV app to find a particular music. Individual artists and their acts can also be searched. How to Play Vevo on Apple TV? The Vevo app can be played on 4th Generation Apple TV and the app is free to use. Playing Vevo on Apple TV is very simple and the steps are mentioned below. Step 1 On your Apple TV, go to tvOS App store and search for Vevo app. Step 2 Click Get and then tap Install it. If asked, enter your password. The app will be successfully downloaded and installed on your Apple TV. 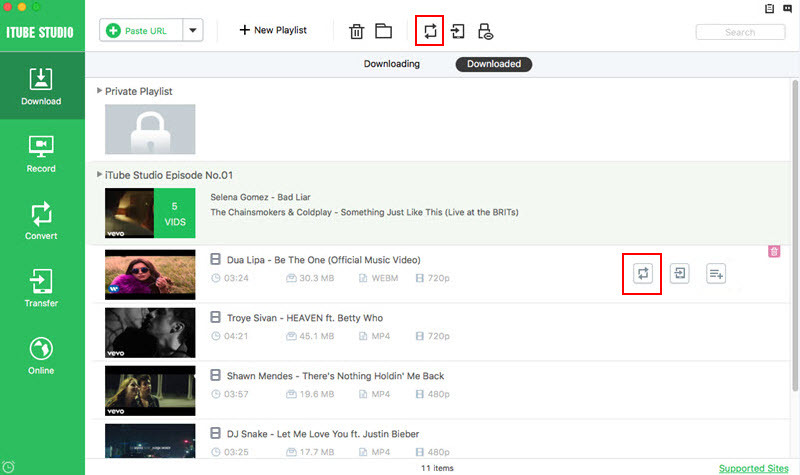 Step 3 Open it to find your favorite music on Vevo. Vevo allows enjoying its content through online streaming, but if slow connection issues keep haunting you, then downloading videos for offline viewing is a good option. There are many downloaders that facilitate videos downloading and if you are looking for a feature pack tool, look no beyond iTube Studio. This professional software allows downloading as well as recording high quality music videos from more than 10,000 sites, including Vevo, YouTube, Vimeo, Dailymotion and many others. More than 150 download formats are supported by iTube Studio and it can also convert the videos to other formats compatible with portable video player and other devices. MP3 and other audio files can be extracted by the software and it also facilitates subtitle download. Using iTube Studio for Mac, you can download the desired Vevo videos on your Mac and then enjoy it on your Apple TV by transferring it or using Air Play mirroring. Thus Vevo videos can be enjoyed on high resolution Apple TV without worrying about Internet connection. Step 1 Search and select Vevo video from YouTube via your browser Safari on your Mac and copy its link. 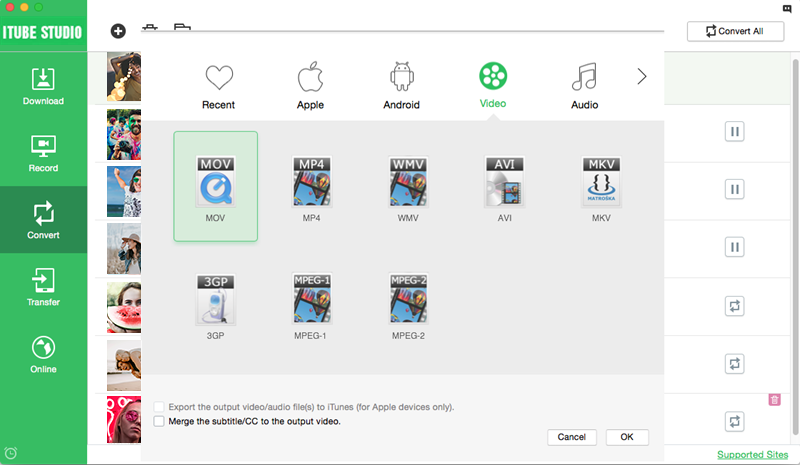 Launch iTube Studio for Mac on your Mac. When you open the video on YouTube, there will be a Download Button on the upper right corner. Click Download button and select the format. The downloading process will begin. Step 2 The downloaded video will appear under "Downloaded" tab. Click “Convert” tab beside the video and from the pop-up window, select "Apple". The downloaded Vevo video will be converted to Apple TV compatible format. Step 3 Transfer converted video to Apple TV and enjoy it. 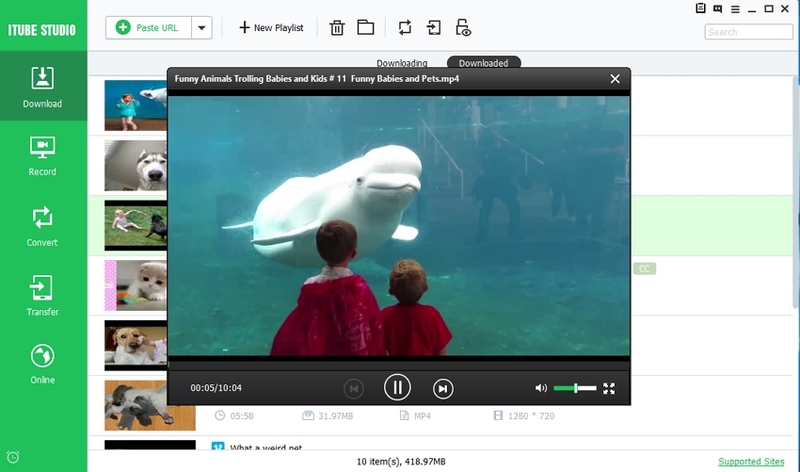 Air Play Mirroring can also be used to play the video. Thus you can opt for any of the above methods and enjoy Vevo videos on Apple TV.